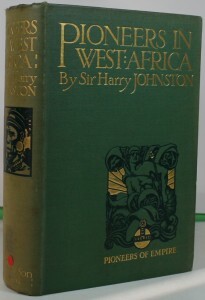 This is not just a factually based book of the various men and women who opened-up West Africa, but it is also a book of daring and thrilling adventure. Set out in 12 chapters, it opens with a chapter on how and why the white man went to Africa, and then focuses on the exploits of Mungo Park, Bruce Denham, Clapperton, Richard and John Lander, and their efforts to discover and tame the River Niger. This is a short account of the four countries of West Africa closely – the Gambia, Sierra Leone, Ghana and Nigeria. 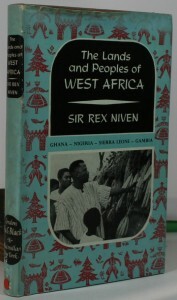 In the first part of the book the author describes the various aspects of life common to the whole of West Africa: scenery, climate, farm and village life, religion and wild life. In the second part he describes each territory in turn. 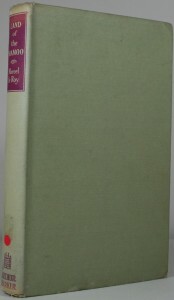 There is a useful appendix of facts and figures, and the book is illustrated with eighteen photographs and a map. 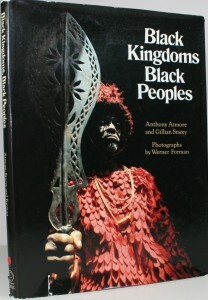 The ancient societies of West Africa form an endlessly vivid tapestry of culture, history, art, religion and customs. For centuries their people were a mystery to the West, known manly as traders in gold and the source of forced labour, but also alternately misunderstood and admired as the makers of magnificent carvings and as the followers of potent cults. 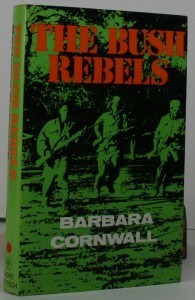 “Bush Rebels” is a book that relates the story of the unequal contest raged in Portuguese West Africa. On the one side, a European power equipped with all the sophisticated armaments of NATO, and on the other, the African rebels, with nothing but themselves, their will to resist, and their incredible endurance. This book describes the author’s experiences amongst these people, and the result is a striking portrait of a people whose endurance and will to freedom is second to none, their ennoblement and basic humanity. John Hatch, Commonwealth correspondent of the New Statesman, has an unrivalled reputation as observer and interpreter of the contemporary African scene. 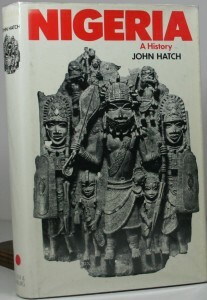 In this sympathetic and authoritative survey of the emergence and growth of Nigeria, John Hatch traces the shifting pressures which have shaped the area from prehistoric times -the first migrants to West of Africa, the rise of the great African empires, the horrors of the slave trade, the impact of European discovery and exploitation, the period of British dominance, and the painful adjustment to independent statehood. This book tells the story of the author’s travels through what was then called the Gold Coast, prior to the country’s independence. It tells of his interview with the then prime minister, Kwame Nkrumah and of the internal strife between the various political parties. The pride of achieving independence has made his people forget – at least temporarily – their internal differences. While all Africa watches, the new-born baby of the black continent has already managed to take its first steps.